In an ultramarathon–especially one that travels point-to-point–the passing miles are marked by aid stations or the next glimpse of your crew. Some races, Florida’s 100-mile Keys100 for example and its inspiration, the Badwater 135, do it a little different. For Badwater, mile 80 is counted by how close the runner gets to the mountain–that’s how it feels right? For the Keys100, the miles go by with each little green mile marker counting down from 100. Mile 90. Mile 45. Mile 10. Mile 0: Welcome to the Keys, the southern-most point of the United States. Bob Becker first tried it out himself, running from mile marker 104 all the way to mile marker 0. The pavement road was hard and hot and the drivers flying past him had no idea what this little jaunt down the road would eventually turn into. Bob, now 71, wasn’t always a hot weather, sandal-wearing guy. He grew up on the East Coast before moving to Minnesota for his job in residential and commercial real estate. In 2011, the company he worked for reorganized his job, offering to send Bob and his wife–their three kids were grown and on their own by then–to Ft. Lauderdale, Florida. 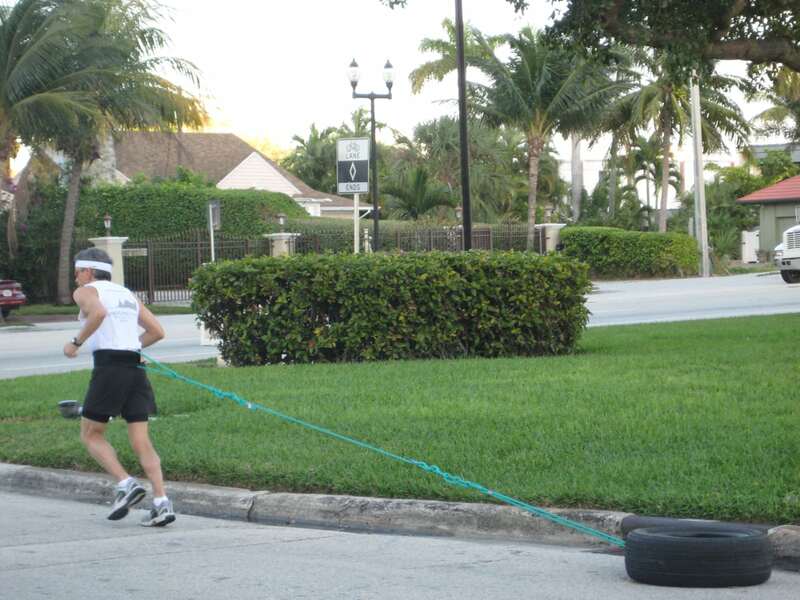 Bob was not much of a runner until early 2002, when friends from his Minnesota gym called him up in Florida asking if he was interested in running a marathon with them. “Sounded like a party,” he said. “I went out and bought a pair of running shoes and asked the people at the running store, ‘What do I do next?’” They introduced him to a local running group and in June of 2002 at age 57, he ran Grandma’s Marathon in Minnesota, qualifying for the Boston Marathon and moving up in running-group speeds. He went home and checked it out. The next day he told his friend as a way to celebrate his 40th birthday and Bob’s own 60th birthday that year, they would run it together. “That’s how I was introduced to ultramarathon running and fell in love with it and fell in love with the camaraderie and the spirit and the mutual support you find in most ultramarathons and in most ultramarathon communities,” he said. Stepping up his training for the MdS, he finished a few more marathons, carrying the gear he would need in the actual race on his back. 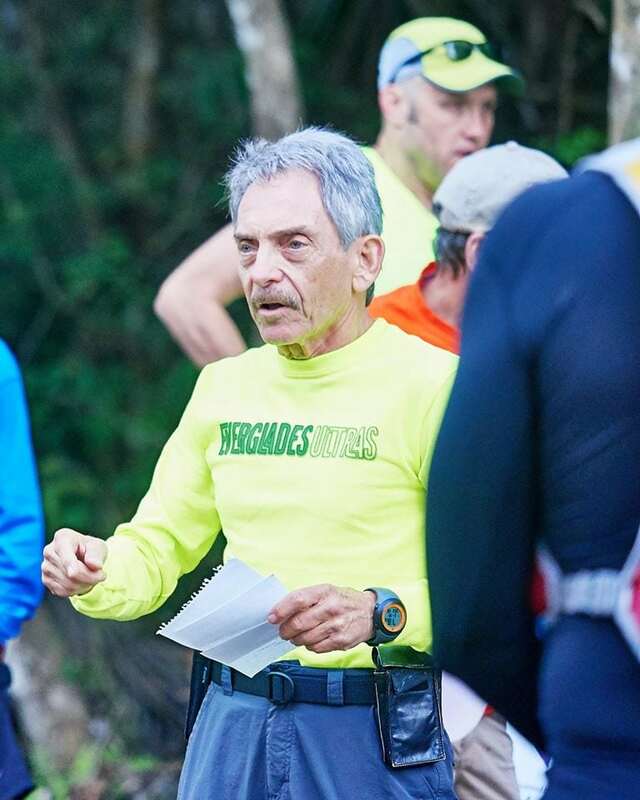 He slid into ultras, he claimed, and kept sliding into the position of creator and race director of the Keys100. Bob received the blessing from the southern Florida running group, and the following year, 2008, the first Keys100 took place. 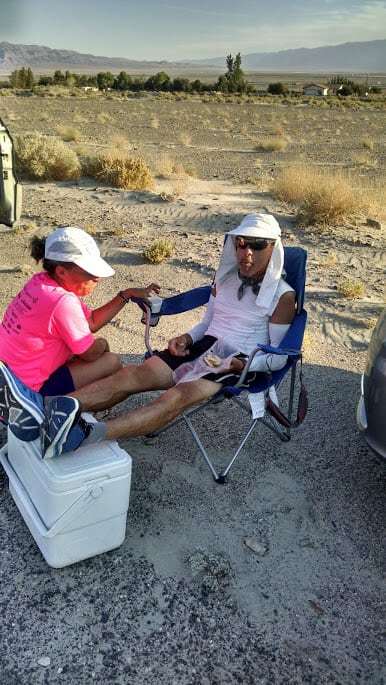 The race was created to simulate the Badwater 135 with the brutal heat and a pavement route. 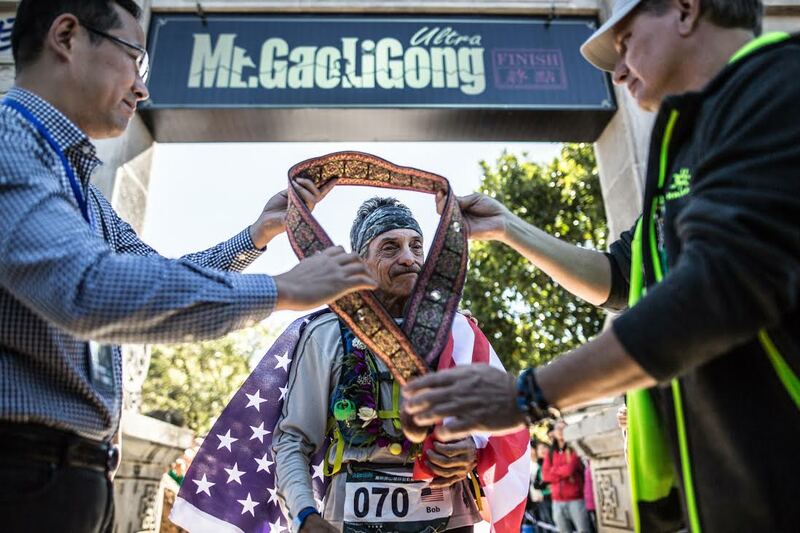 The first year, he also limited the race to a small size, and made it a crew-supported race without any aid stations. But after that first year, he learned a few things. This year’s Keys100, which will be held on May 20, marks the race’s 10th anniversary and a party is planned for the weekend. To celebrate, Bob has officially announced that the band Sister Hazel will play at the post-race banquet, after the six-man group each runs a leg of the 100-mile relay. Seventy-five percent of the race is run on pavement but off of the main highway, U.S. Highway 1, on surfaces like bike paths, sidewalks, pedestrian bridges, and side roads. Highway 1 is called the Overseas Highway, named for bridging all of the islands from Key Largo to Key West. The famous Seven Mile Bridge–which is a bit under seven miles in length–makes up the 25% of actual highway running, meaning there is not a pedestrian sidewalk. So, for the seven-mile stretch, the road is coned off for oncoming traffic to watch for the runners. Heat. How do you recover after your body temperature rises and dehydration sets in? Ice, Bob swears by ice. There are a few more tips Bob gives on how to train and deal with the Florida heat and humidity. Second, keep ice on you at all times. Third, of course, is to not try anything new on race day. This is a rule no matter the race, but even more so in the heat. “Your digestive system is not going to be as efficient as if you were running in a cooler climate because your blood supply is at your extremities and trying to cool your body off,” he said. “You want to avoid stomach issues and if you’re having stomach issues at a race like the Keys, it is usually heat related.” So, he recommends digestible calories like gels and fluids as the best things to consume. “The race is in a nature preserve. It is pretty spectacular, a very unusual and very unique place with lots of firsts,” he said. During the 2012 Grand to Grand Ultra. Photo courtesy of Bob Becker. The state park claims the largest collection of orchids and bromeliads on the continent and houses a panther habitat. Back in the 1950s the area was privately owned to log cypress trees. To get the trees out of the swampy muck, a railroad track was built on raised mounds. “These old trails, which are called trams, have been reopened,” he said. “There are open grassland prairies out there that are pretty spectacular too. There are swamps and hardwood trees too, so the park has a lot of variety.” Bob winds his runners through every part of the varied land and this past February was the race’s sixth year. Both races are part of what Bob’s established business, UltraSports LLC. Since the beginning of the races, Bob takes a portion of his proceeds and donates it to a different charity. 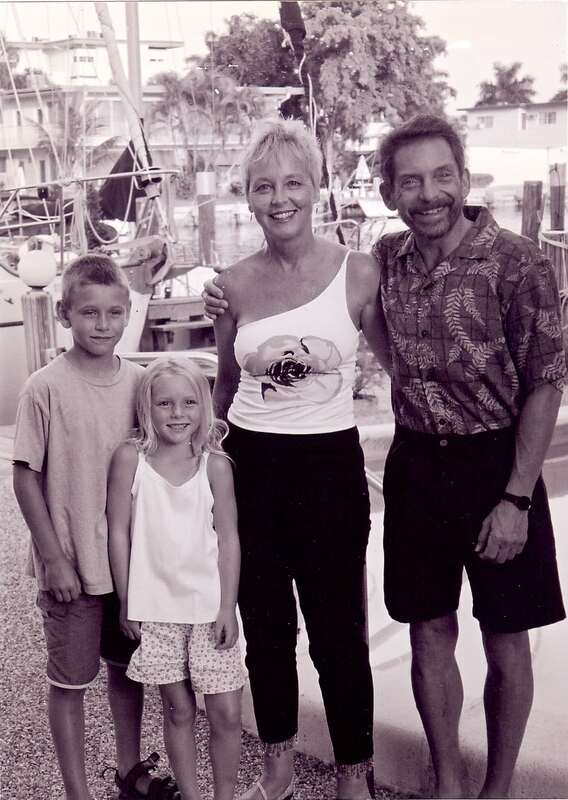 For the Keys100, he donates to The Cancer Foundation of the Florida Keys Inc., a nonprofit that helps the patients and families in the Key West area with financial assistance, educational materials, cancer screenings, and overall support during difficult times. For the Everglades races, he donates to the Citizens Support Organization, “Friends of Fakahatchee, Inc,” so that the donations stay with the park and directly support its public programs, helps with the purchase of equipment, and funds outside services. He is constantly on the search for the best spot for a new Florida ultra race, but nothing has yet to pop out. However, directing these two races is a busy gig. From coning off the race route to fashioning the much-loved and enjoyed queen conch shell awards for the winners of the 100 miler, his time is consumed. Add in spending time with his wife and family, and traveling the country for his own racing and volunteering, and Bob is a very busy man. 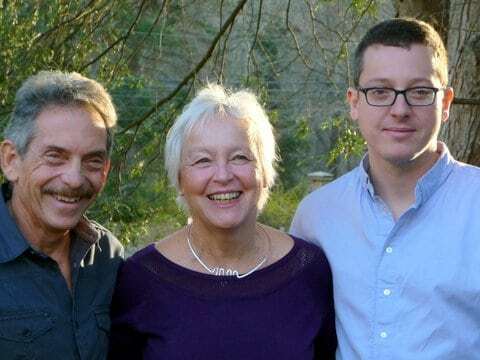 Bob with his wife and son. Photo courtesy of Bob Becker. One traveling destination is to Bob’s beloved race setting: the paved, hot, desert-based Badwater 135. Last year was his 10th time heading to the desert to either run, crew and pace, or help the race organization. No matter the job, Bob is right at home in the desert. It started years ago while Bob was training for the MdS. 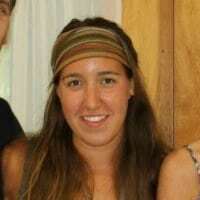 He attended a camp led by previous WeRunFar profilee, Lisa Smith-Batchen. It was there where he met Nattu Natraj, who asked Bob to crew him for that upcoming summer’s Badwater race. Once again, Bob agreed without a clue as to what he was getting himself into. “I went there in June for a training run and I loved it,” he said. “The desert is not everyone’s cup of tea, but I loved it. I decided to run it the following year.” He ran in 2008, then another year came back to crew Nattu again, and the annual tradition continued on. He ran the race again in 2014. 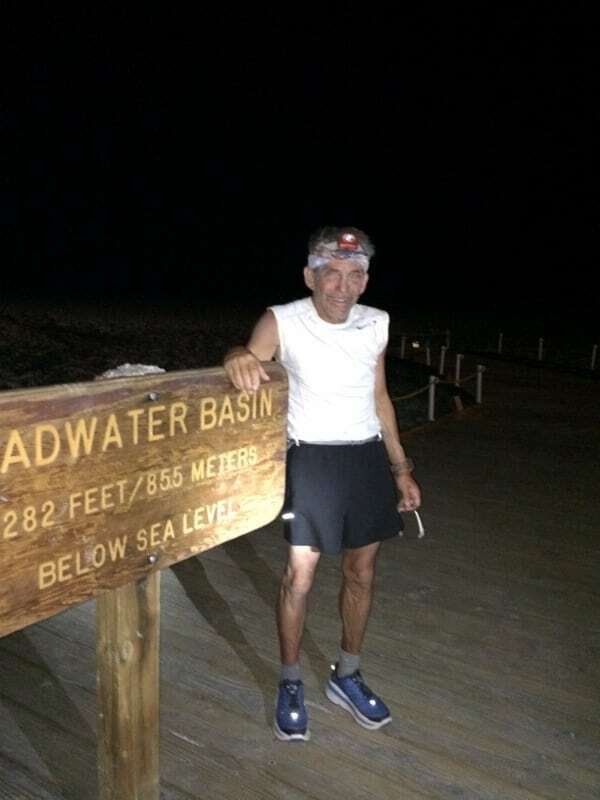 In 2015, ate age 70, returning to Badwater was already on the calendar, but he wanted to add something unique for his yet another zero-ending birth year. He decided to master the double Badwater. A double Badwater means running the 135-mile race route between Badwater in Death Valley National Park and Whitney Portal, which is the trailhead for Mount Whitney, as an out-and-back. Double Badwater runners typically add on mileage to actually summit 14,505-foot Mount Whitney, tallying the mileage to 292 miles. In 2015, there were only around 30 people who had finished the 292-mile out-and-back journey. With Batchen’s coaching, whom he goes to for every big race, he and two different crews started and finished the long journey. One crew started with him for the race, which included a massage therapist, nurse, and “better runners than me” who were his pacers to get him through the first section. 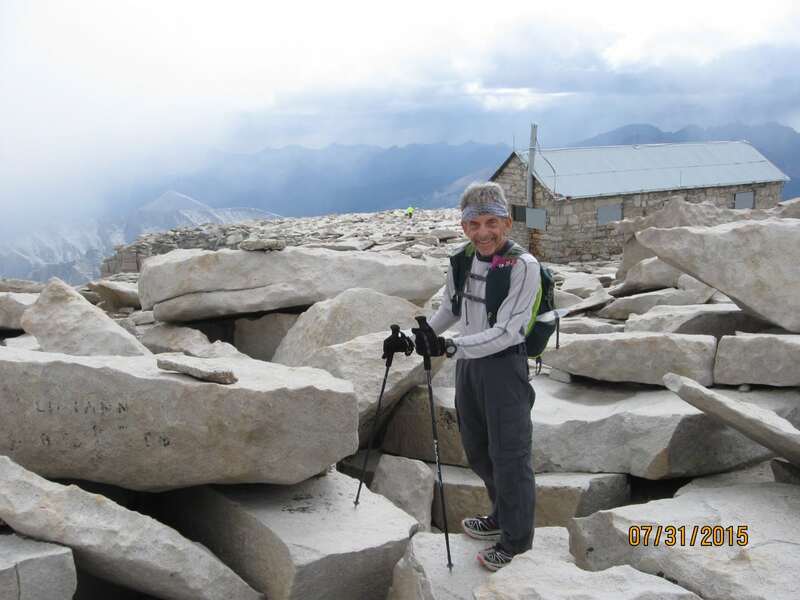 He finished the race in 42 hours, and then headed to summit Mount Whitney with one member of the first crew. The two then met up with crew number two and started the trek back to the start. Even with gale-force winds at 1 a.m. in the Badwater basin and after he’d been going for seven long days and nights, he never faltered and only complained just a little about his feet hurting, she added. 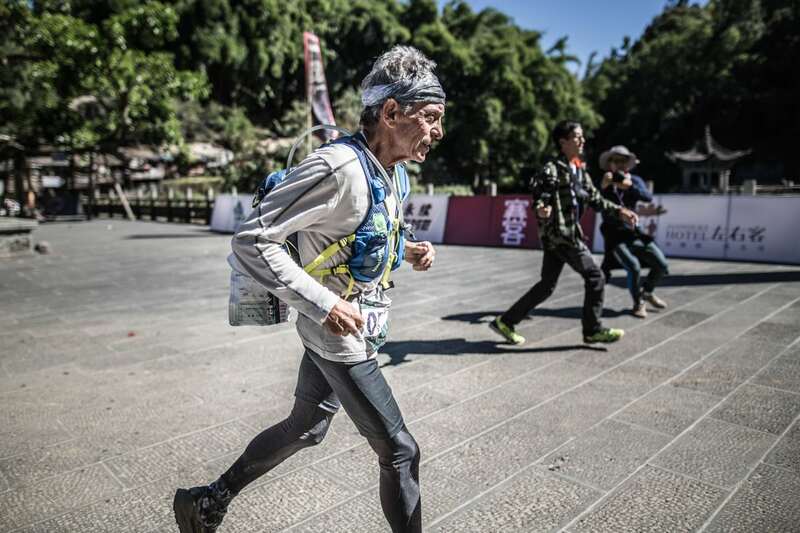 Almost a week after beginning, Bob returned to his starting point, setting a record for being the oldest runner to complete the double. Overjoyed with the finish as much as being overjoyed by having it done, he said he was drained in every respect. Bob is one of those guys who doesn’t plan a year of racing, but rather signs up after a friend or race director invites him saying, “Hey, I’m doing such and such race, you should join,” or “Hey, I am starting a race at X, come on out!” This was how Bob competed in the first year of the Grand to Grand Ultra, climbed Mount Kilimanjaro, and will be running the Bad Beaver Ultra in Ottawa, Canada this year, his goal race. In 2006, Bob climbed Mount Kilimanjaro with his gym-class instructor. 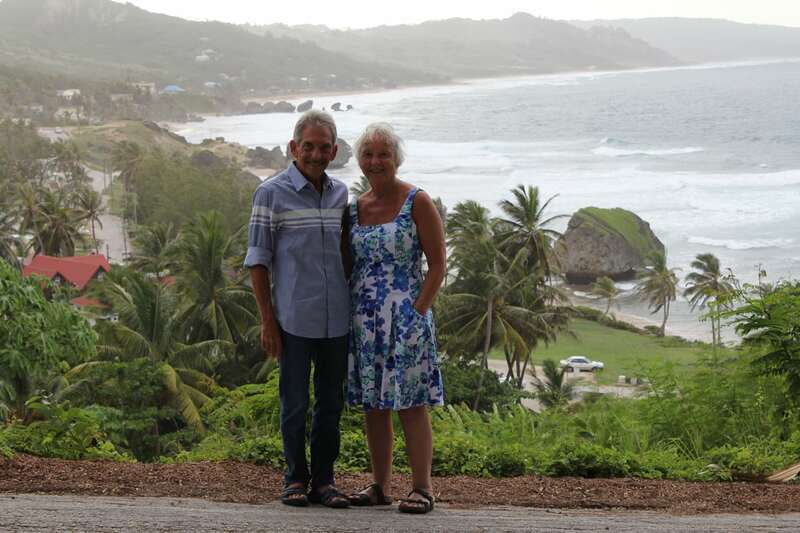 Just a few months earlier, Bob was diagnosed with prostate cancer and was undergoing a gradual recovery. The instructor led the mountain climb as a fun, hiking experience, and Bob, who was cleared by his doctor, joined in, enjoying every step of the way. He enjoys every race he enters, but his heart will always be with Badwater and its sister races. He recently ran the Badwater Cape Fear in Bald Head Island, North Carolina for the fourth time and he has also finished the other sister race, the Mt. Gaoligong Ultra in China. These stage races and multiple-day events create the culture Bob loves to incorporate himself into, for his own running and his own race. These races require the support of others: whether it is from your pacer, your crew, or your family of non-runners. “The culture of ultrarunning in general, and specifically Badwater, is just so unique. Running in the desert is a tremendous challenge, but being out there just appeals to me and blows me away,” he said. 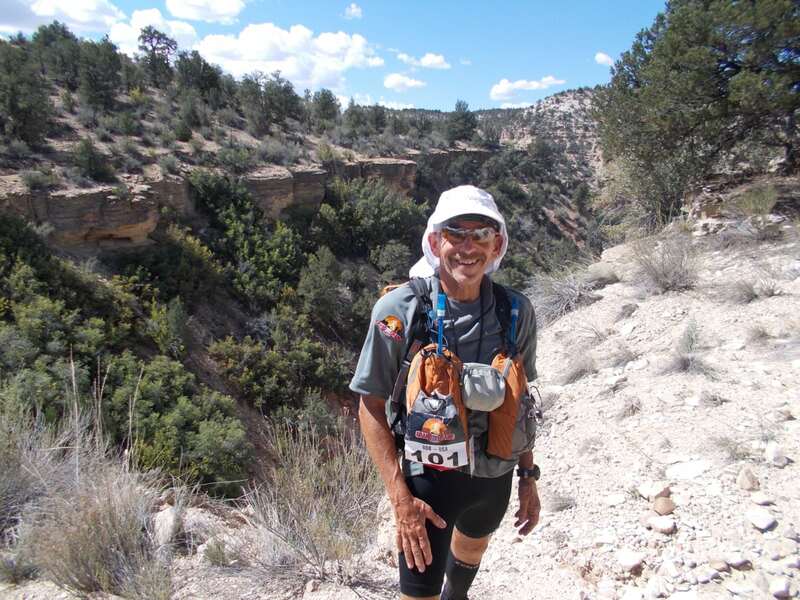 Bob has infused the aspects of ultrarunning he most enjoys into the Keys100. He watches them pass by, stopwatch in hand and that shirt, the long-sleeve shirt from the Rocky Raccoon racer on his back. “It is my go-to shirt. When I need another layer, I put that one on,” he said. Have you run one of Bob Becker’s races? Can you share a story from it? Have you participated in Badwater or another event with Bob? Which one and what was it like? Share your best Bob Becker story! Bob and his wife. Photo courtesy of Bob Becker. After Badwater last year, Bob caught a ride back to Las Vegas with us. Besides getting to hear all kinds of stories on the drive, we did a couple of hours hiking in Horseshoe Meadows. As we made our way through the meadow and into the hills, I almost turned to him to ask if he was doing okay. And then I remembered who I was talking to – and that at nearly double my age, he had probably double my physical ability (he wanted to get in some hills before TransRockies). This was my third year of crewing at Badwater, and it feels like a reunion each year in the desert seeing so many of the same faces, and people like Bob are a big reason why. I’ve worked with Bob at Badwater the past couple years and he really is a legend and an inspiration, not to mention an all-around humble, nice guy. His positive attitude is infectious to those around him! Thank you so much for the article on Bob. It is well-deserved! We’ve never met, and things as they are we might not, but just to know you’re out there, the BW double at 70, well, let’s just say it gives the rest of us something to shoot for! I’ve had the pleasure, and the privilege, to run with this amazing athlete. He inspires me. Thank you for this piece Jessica. Bob is the real deal. Endless energy and heart. He is an inspiration. Thanks for writing this, Jessica. Excellent subject. I met Bob about 7 years ago in a boot camp taught by a mutual friend. I remember that everywhere I went, there this guy Bob would be, bopping along the streets of Fort Lauderdale like the Energizer Bunny. He seemed to have only one gear: RUN! He amazed me. I had never heard of ultra races before I met Bob, but soon I was volunteering at his Palm100 … then the Keys100… then the Everglades Ultras. It was a great gift Bob gave me, this introduction to the ultra world. There’s something very special there. It’s hard to explain, but those who participate in ultras – whether runners or crew or volunteers – will know what I am talking about. There’s an esprit de corps unlike any other, a sense of adventure and crazy accomplishment and life pushed right past the edge of impossible. And it’s infectious! I ran my first ultra last year, and I never would have done that without Bob making me believe I could – and patiently allowing me to stumble along at his heels on many a training run. Thanks for this article, Jessica! I was there with Bob in 2007 on one of his “trial runs” and to see all that he has done and what his races have become is awesome to see. I agree with all the other comments, Bob is nothing other than positivity and energy! I am proud to be able to call him a friend, great runner, and inspiration. Thanks for the memories and buckles Bob!